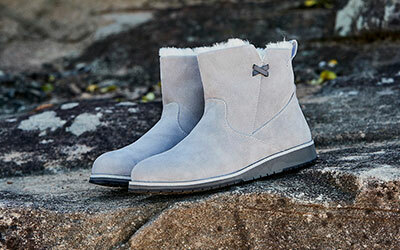 The EMU Australia Mooka is a fashionable, women’s mule design slipper. 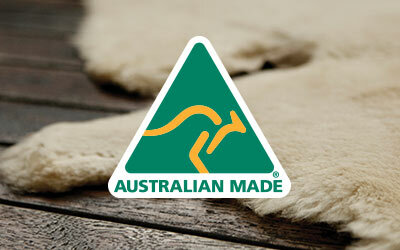 Made with crocodile embossed suede and lined with soft Australian sheepskin, these slides can be worn inside and out. Featuring a suede instep band for extra support, exposed sheepskin topline and moccasin toe line, these slippers are as cool as they are comfortable. As much a fashionable shoe as a comfortable slipper, the Mooka is a comfortable mule lined with the softest Australian sheepskin. The on-trend crocodile printed embossed suede upper features a high shine sheen and looks great with the contrasting exposed natural sheepskin. Built on a flexible gum rubber outsole to deliver grip and traction, they have been finished with a moccasin toe line and contrasting suede instep band.